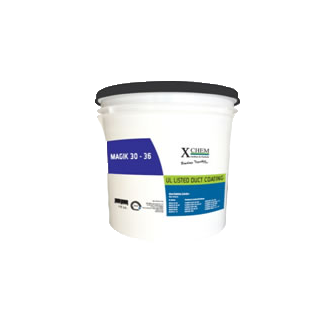 MAGIK 30 36 is a UL certified, zero VOC, water based, fire retardant coating for Duct Insulation. It is washable, tough, and abrasion resistant. It acts as a lagging & lap adhesive for canvas and glass reinforcing cloth. Due to its excellent brushing characteristic it provides excellent brushing characteristics. MAGIK 30 36 AF is an UL listed premiphere. It is washable, tough, and abrasion resistant. It acts as lagging & lap adhesive for canvas and glass reinforcing cloth. Due to its excellent brushing characteristic it provides excellent brushing characteristics. It is used for outdoors as well as indoors thermal insulation material on metal duct, in areas where with high humidity and elevated temperature are major problems. It is specially designed to prevent fungus, mold and mildew growth on the duct system. It is used a lag adhesive where fungi resistance is required. 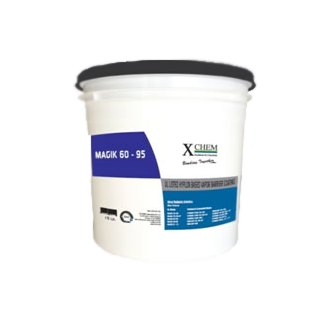 MAGIK 60-95 is a commercial quality water based; fire retardant vapor barrier coating specially produced for all types of external and internal thermal insulation duct systems. It is specially formulated for enhanced vapor barrier protection and for heavy duty commercial or industrial purposes. It is used for outdoors as well as indoors thermal insulation material on metal duct. It is ideal for vapor sealing jackets and board facing at joint & laps. It acts as an excellent duct board closure. It is recommended on most of thermal insulation system, including Polystyrene Foams. It is also compatible on concrete and cementitious surface. It is ideal for use on. 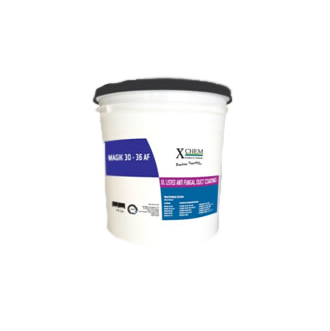 MAGIK VB-95 is a commercial quality water based; fire retardant vapor barrier coating specially produced for all types of external and internal thermal insulation duct systems. It is specially formulated for enhanced vapor barrier protection and as well as antifungal protection. It is used for outdoors as well as indoors thermal insulation material on metal duct. It is ideal for vapor sealing jackets and board facing at joint & laps. It acts as an excellent duct board closure. It is recommended on most of thermal insulation system, including Polystyrene Foams. It is also compatible on concrete and cementatious surface. It is ideal for use on. * Excellent Water Permeance and Vapor Barrier Characteristics. 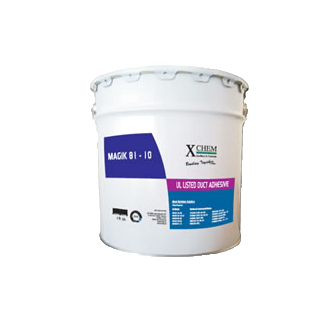 MAGIK 81–10 is a UL listed quality, single component, synthetic rubber based adhesive with special additives and tackyfier. It is specially formulated for porous and non-porous surfaces in humid and hot climatic conditions. It has excellent water and alkali resistance and is inflammable. MAGIK 81–10 highly recommended in applications where fibrous glass and other type of insulation are bonded to the interior or exterior of metal duct system. •	This exhibit excellent strength, flexibility and resistance to heat and cold. •	Forming a durable seal against air leakage.